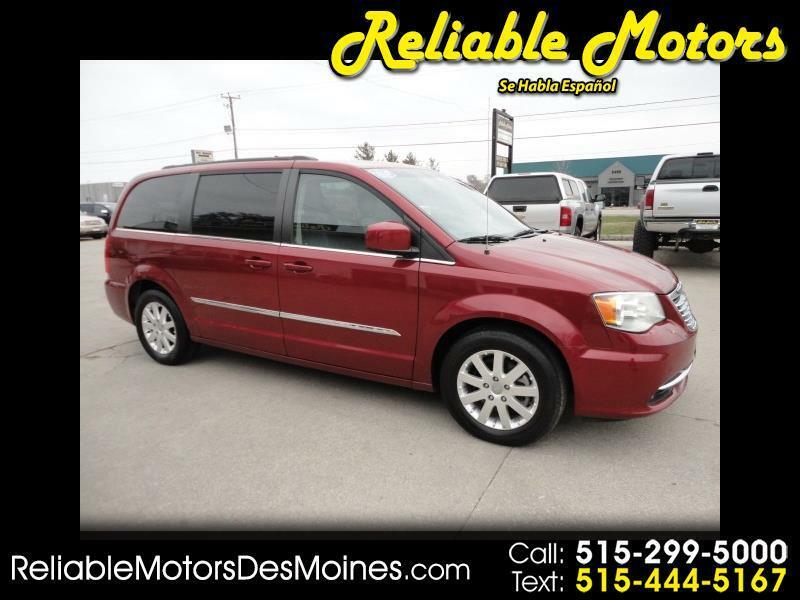 Our family-friendly and attractive 2015 Chrysler Town and Country Touring is gorgeous in Deep Cherry Red Crystal Pearl coat. Powering our minivan is a proven 3.6 Liter V6 that offers 283hp while connected to a smooth shifting 6 Speed Automatic transmission. This Front Wheel Drive Touring will reward you with a refined ride and near 25mpg. The handsome exterior of our Touring trim is accented by unique wheels, a roof rack, heated power-adjustable mirrors and a power-opening rear lift gate. The upscale Touring cabin resembles your family room on wheels complete with comfortable leather heated seating, reclining Sto 'n Go second-row bucket seats, full power accessories and tri-zone climate control. Everyone stays entertained and content with rear-seat DVD entertainment as well as Bluetooth hands-free calling.